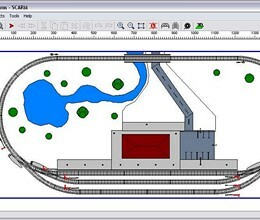 SCARM means Simple Computer Aided Railway Modeller - a free software for simplified design of scaled railway layouts and creation of railroad model track plans. 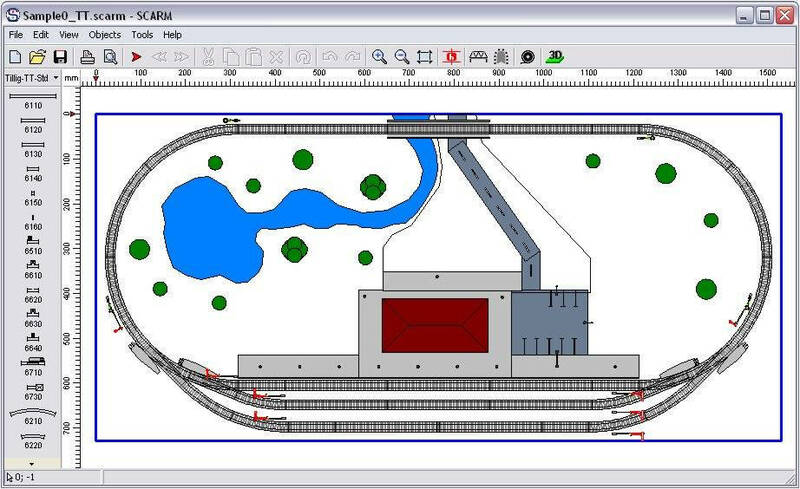 With the help of SCARM you can easily draw railways and visualize them in 3D with the built-in viewer. What you can do with SCARM? * Scarm download link provides freeware version of the software. CadStd is a general purpose, easy to learn CAD/drafting program for creating professional quality mechanical designs, house plans, blueprints, schematics and charts utilizing ANSI drawing standards. Maxima is a system for the manipulation of symbolic and numerical expressions, including differentiation, integration, Taylor series, Laplace transforms, ordinary differential equations, systems of linear equations, polynomials, and sets, lists, vectors, matrices, and tensors. The largest and versatile software for Railway, Metro Rail, LRT, MRT, Mono Rail Engineering projects. Determine sectional forces and design statically indeterminate beams using PolyBeam, a simple beam calculator. ZCAD is simple CAD program with dxf2000 file format support. No one has rated Scarm yet. Be the first to rate this product. Advance Steel is specifically designed for structural engineers and steel detailers who require professional and easy-to-use BIM structural steel detailing software that automates the production of drawings, BOMs and NC files. CYPECAD was brought about to carry out the analysis and design of reinforced concrete and steel structures, subject to horizontal and vertical forces, for houses, buildings and civil work projects. DraftSight is a professional-grade 2D design and drafting solution that lets you create, edit, view and markup any kind of 2D drawing. GstarCAD Architecture is built-in architectural custom objects for creating agile construction drawings through comprehensive tools.